We love to find simple ways to decorate our house for holidays. After we took down our Christmas decorations, our house felt really barren and kind of sad. This week we decided to add some color to our doorways by making some sparkly heart garlands to help us get ready for Valentine’s Day! Contact paper is one of our favorite crafty materials because it is sticky and can be used in so many ways! Earlier this year I shared our family tree sticky wall activity and since it was a hit with my kids, we’ve been doing a lot of sticky wall creating since then! Last week we made an alphabet sticky wall, and then the idea for this banner was born when we cut out some hearts for our kindness vase and had some beautiful scraps that we had to use for something! First, my kids drew all over our cardstock and made colorful designs with markers. Then, we cut out some hearts from the cardstock. We folded the paper in quarters so that we could get 4 hearts on each sheet and then we used the hearts to make a special kindness project. We used the leftover cardstock scraps (with hearts cut out of them) and stuck them onto the sticky side of a big sheet of contact paper. 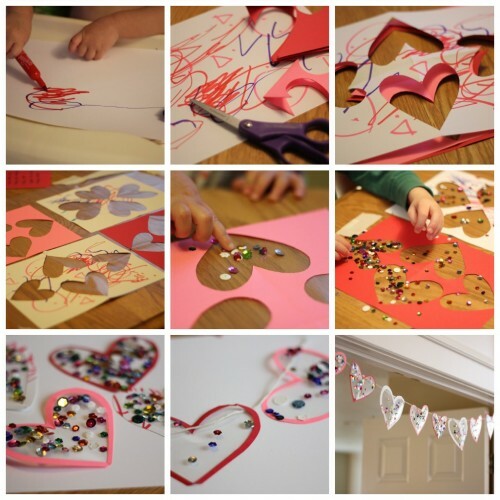 Then, we started adding embellishments to the sticky side of the hearts! You can use any materials you have around your house that your kids like to create with to make these pop. I love sparkly things, so we used a lot of sequins! Once our sticky hearts were decorated, I cut them out and we hung them from a piece of twine with clear tape across our doorways. 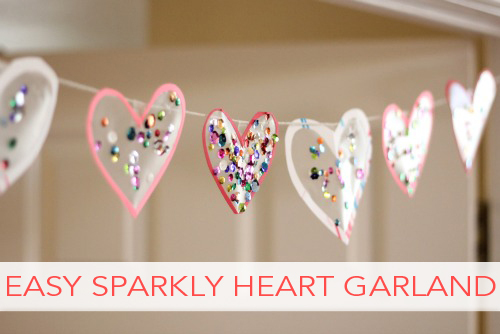 The sparkles and hearts make everything feel fun and festive. Do you decorate for Valentine’s Day? How else do you celebrate with your family? Kristina is a mom of 2 and a former Special Ed teacher for children with communication disabilities. She blogs at Toddler Approved as she looks for ways to make life a little more fun and creative with her kids while embedding learning into everything that she does. 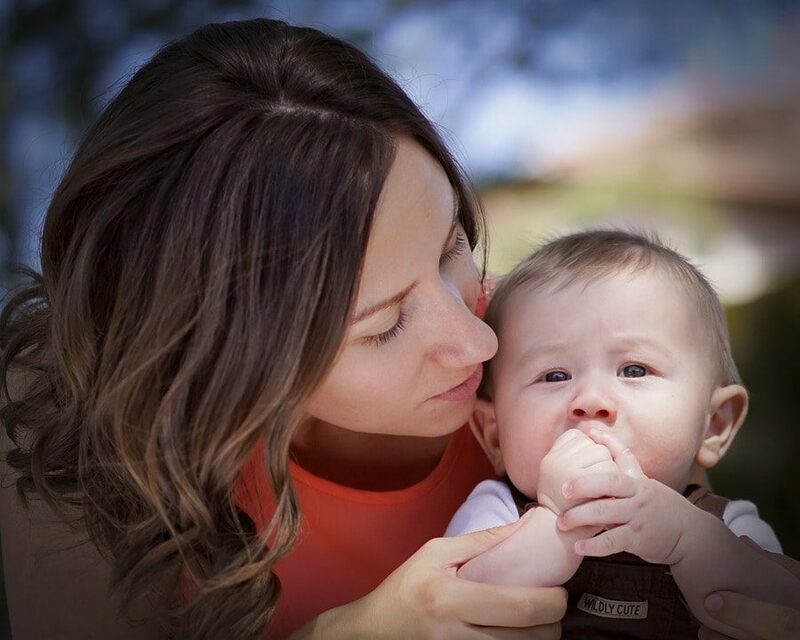 Kristina tweets as @ToddlerApproved and can be found on FB and Pinterest.